Once you’ve adjusted the temperature just by talking to your Amazon Echo, it’s hard to go back to the barbaric old ways of using an app or a dial. Look for the words “Works With Alexa” to find smart thermostats that you can control through a separate Alexa-enabled device, such as an Amazon Echo, Echo Dot, on the same WiFi network. Look for “Alexa-enabled” to find smart-thermostats that have Alexa built right into their hardware. As of this writing (September 2017) the ecobee4 is the only major thermostat with Alexa built right into the hardware. Rather than give orders to an Alexa-enabled device elsewhere in your home, the ecobee4 has Alexa built right in. This means you can speak directly to your ecobee4 thermostat, which would have made you look crazy 20 years ago but totally futuristic and modern today. It even has its own little blue light across the top to indicate that Alexa is speaking or thinking. 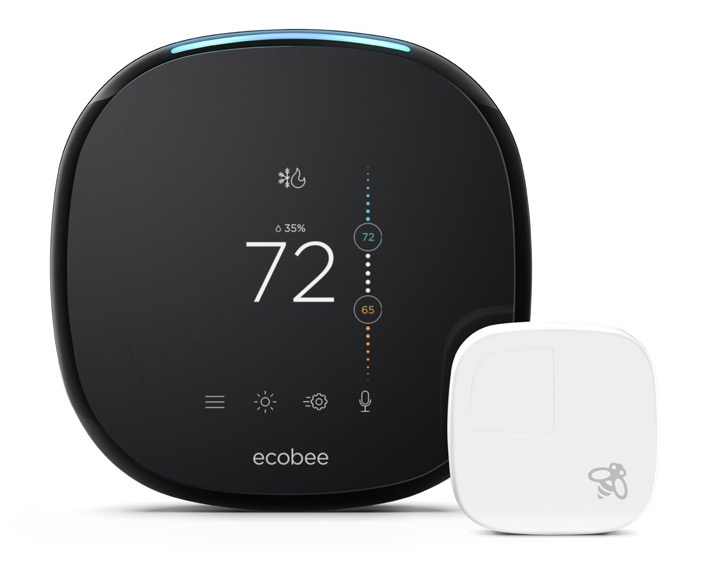 Aside from Alexa integration, the ecobee4 is virtually identical to the ecobee3, which has enjoyed a multi-year run as our overall top smart thermostat pick. 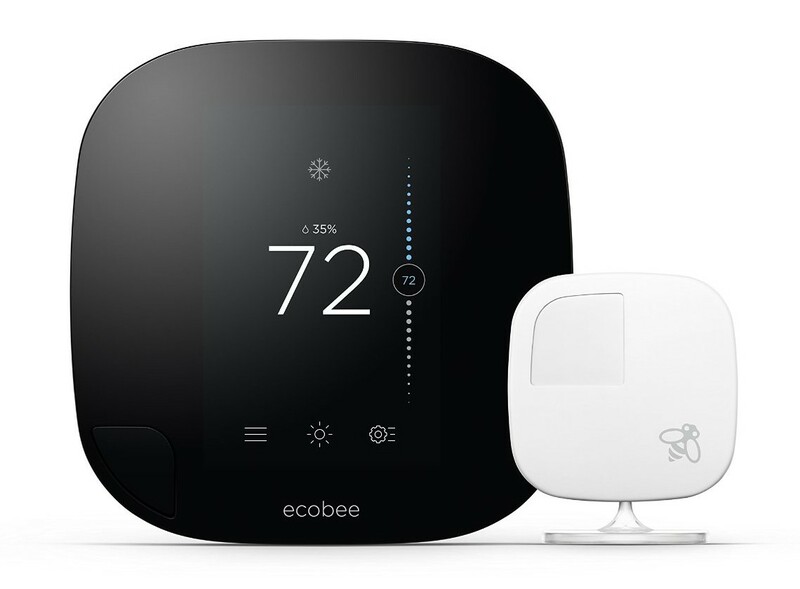 Long our overall top-pick, the ecobee3 smart thermostat uses individual “room sensors” to detect motion and temperature on a room-by-room basis, helping put an end to chronically under-heated or under-cooled rooms. 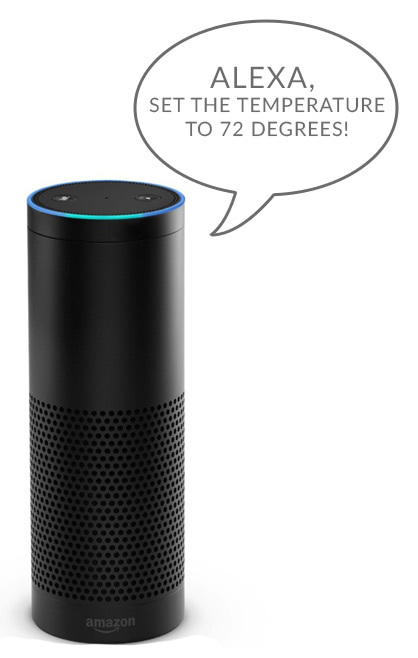 With Alexa integration, all you have to say is “Alexa, set the temperature to 72” to an Alexa-enabled device (such as an Echo or a Dot) and ecobee3 can take it from there. 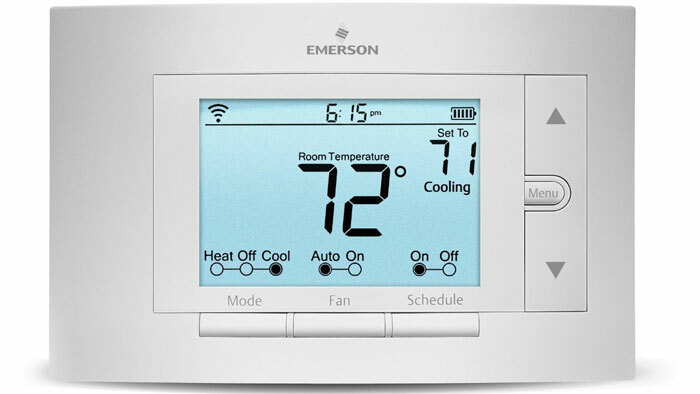 The Emerson Sensi is far easier on the budget than most smart thermostats, but not much lighter on features. It even runs without a C-wire in many systems, making it a popular alternative for homes that lack the wiring to run some of the fancier touch-screen thermostats. With added Alexa support, the Sensi continues to keep up with its pricier competition . 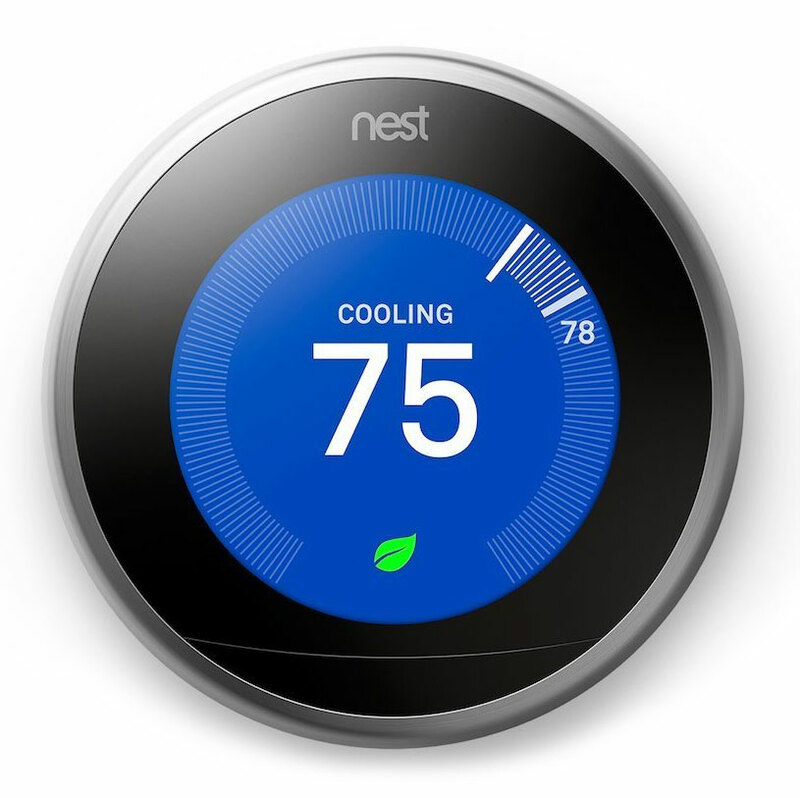 It’s the granddaddy of the smart thermostat family with its iconic click-wheel design and bright circular interface. Nest Learning Thermostat’s claim to fame has always been its “hands off” ease of use (you don’t even have to program the thing, it just tries to “learn” your schedule on its own), and that ease of use just got even easier with Alexa integration. 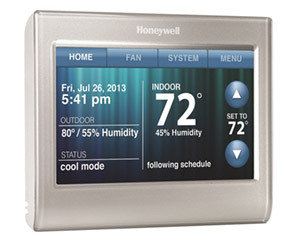 Honeywell’s answer to the Nest, the RTH9580WF (wish they gave it a catchier name!) features a beautiful, high resolution touch screen and more nuanced control over your HVAC system and schedules than the Nest does. It’s been on the market for a while, but that doesn’t mean Honeywell hasn’t been keeping it up to date with new things like Alexa support. We haven’t reviewed these thermostats, but they also have Alexa integration so check ’em out. I have a BAXI Bolier fitted with a SALUS iT500 controller, interested in controlling it with ALEXA, are there any skills for Alexa on the Horizon? Thanks for letting us know about the Insteon Smart Thermostat! We haven’t tried it out ourselves yet but maybe we’ll get a chance to this year. I added it to the article to help other readers find it. Are any of these line volt thermostats? Or will I need to buy the step down kit? 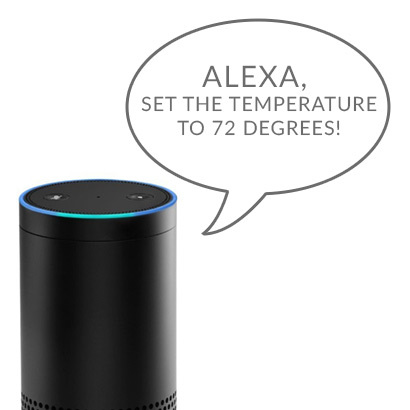 What about smart radiator thermostats, is it possible to control each radiator with Alexa? ?